On June 28, President Niels-Erik Andreasen announced that Dr. Heather Knight, current associate provost for faculty development, diversity and special programs at University of the Pacific in Calif., has been named the university's new provost. He stated, "I believe that the future of Andrews University and higher education in general is bright, and the collaboration and possibilities that Dr. Knight will bring to our work here will be significant." The decision to offer the position to Dr. Knight came after the provost search comm ittee completed interviews of its short list of two finalists for the position. The interviews of the candidates by this committee were accompanied by a number of campus presentations by each candidate. The committee also reviewed feedback from several key groups across the campus, including faculty, staff, students, departmental and academic deans. Dr. Knight joins Andrews University with rich experience in teaching and administration at the University of the Pacific in Stockton, Calif. She began her teaching career there in 1988, becoming a tenured associate professor of English in 1993, teaching a variety of literature and writing courses. She then served as an assistant provost, and became associate provost in 1997. Knight graduated with a PhD in English from Stanford University in 1991, specializing in African American Literature; a master's in English from Loma Linda University in 1984; and a bachelor's in English from Oakwood College in 1982. She has presented a multitude of papers at conferences across the country and has articles in several publications. She has served as a panelist for the National Endowment of the Arts, as well as an evaluator on several accreditation teams and many university committees. According to Adventist News Network (ANN), "One of Knight's major achievements at the University of the Pacific was leading a diversity program to increase minority representation in the school's faculty. The effort, begun in 1997, increased the number of minority faculty from 10 percent to 19 percent, well surpassing the United States' national average of 13 percent." Gerry Karst, chairman of the AU board of trustees and a general vice president of the Adventist world church, stated to ANN, "She [Heather Knight] expresses a strong commitment to Seventh-day Adventist education, its philosophy and mission. It is a pleasure to welcome her to the leadership team." 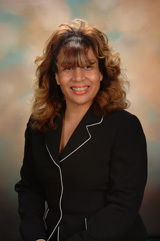 Knight will officially begin in her new role as provost in mid-August 2006.